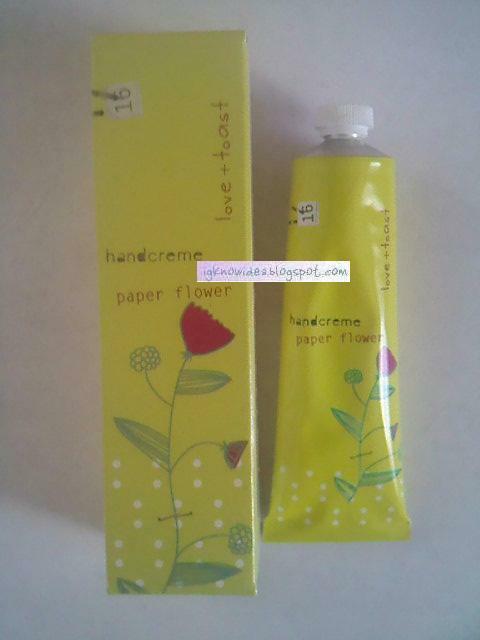 In my Meg's Makeup gift package in February, I received a lovely Love & Toast hand creme in Paper Flower scent. Until I received this, I had not heard of Love & Toast and I'm so glad that I have. They are a brand whose philosophy is: It is just as important to do good, as it is to look good. 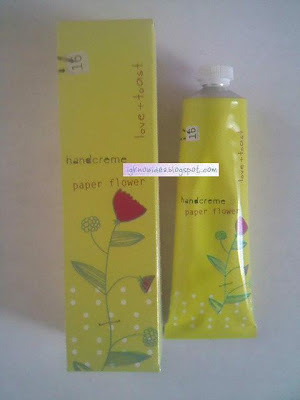 Their paraben-free formula hand creme is super hydrating with shea butters, avocado & sunflower oils with natural fragrances from botanical extracts. The Paper Moon scent is particularly made with Juniper and Lime Blossom essential oils and smells so fragrant. The only con about this is the packaging. The screw top is so small and the first time I unscrewed and tried to put it back, it just wouldn't work! It took a while but finally worked.. Tip: Make sure the cap isn't lopsided!